Laurent works as Senior Director for IdentityMine, one of the leading companies (and Gold Partner) for Microsoft technologies such as Windows Presentation Foundation, Xamarin, Windows Store, Windows Phone, XBOX and generally User Experience. He is based in Zurich Switzerland. Laurent writes for MSDN magazine and other publications, codes in Windows, WPF, Xamarin (iOS and Android), ASP.NET and his blog is on blog.galasoft.ch. He is a frequent speaker at conferences such as Microsoft MIX, TechEd, VSLive, TechDays and many other international events. 2016 is his 10th year as aMicrosoft Most Valuable Professional (Windows Application Development), his third year as a Microsoft Regional Director and his second year as a Xamarin Most Valuable Professional. 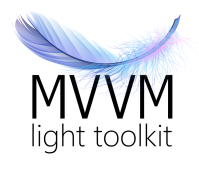 He is the author of the well-known open source framework MVVM Light for Windows, WPF, Xamarin, and of the popular Pluralsight reference course about MVVM Light. This entry was posted in MVVM, Xamarin and tagged YapCast. Bookmark the permalink.